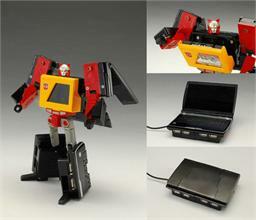 «©NCSX» Broadblast gets his turn as a USB Hub. 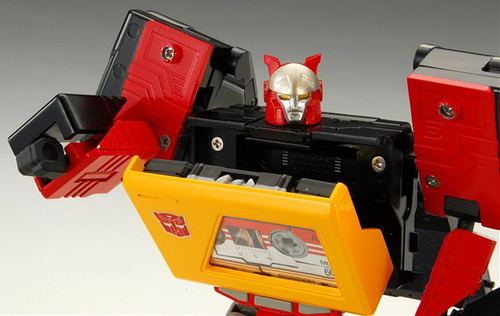 Not many Transformers receive such a dubious honor but Broadblast is special. Yes, he's special in some way that NCS will expound upon sometime within the next 5 years. 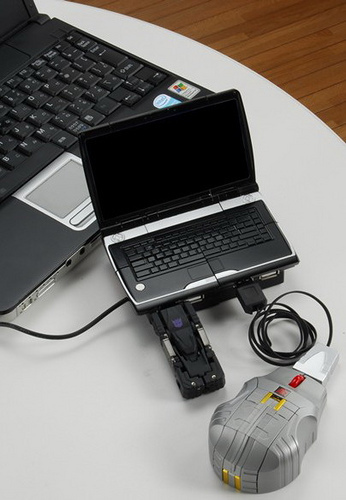 The Transformers Device Label Broadblast USB Hub contains four USB 2.0 ports so that PC owners can connect mice, scanners, drives, and other devices to a computer by way of USB. 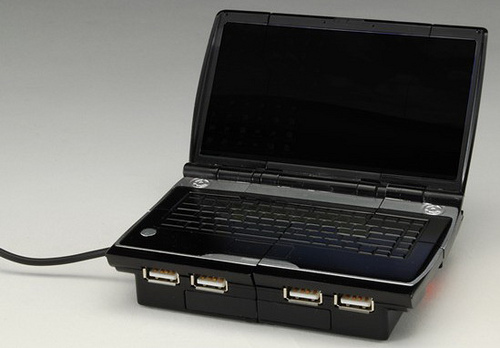 The Hub is powered through its USB connection to a PC and no external power source is required. In USB Hub form, the device looks like a standard piece of PC hardware from Taiwan but flip it, tuck it, and swivel it around to create the boxy robot known as Broadblast whose chest is a cassette player. 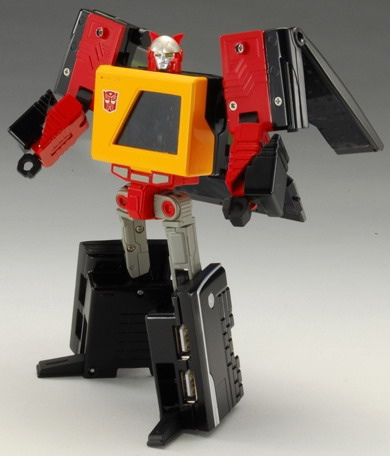 All preorders have shipped as of yesterday and new orders are welcome. This document is ©NCSX 2010. All rights reserved. No reproduction in whole or in part of this document may be made without express written consent of National Console Support, Inc.